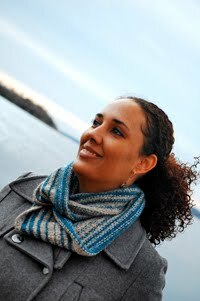 Cambria Washington: knitwear & patterns: I made an ebook! I got up this morning and realized that I still hadn't looked at the revisions for my ebook, from the tech editor. I pulled them up and went through them, using my revised copies from the individual patterns to help out. I really wanted everything to be consistent (which is the reason for using an editor). After revising everything (which took up a good amount of the aforementioned three hours), I send her the updated version and went on Ravelry to create my ebook. This is where everything went haywire. Turns out that you just add the title of the book as a source on the pattern itself (which creates the ebook), then go in to edit the ebook with all of the necessary information (photos, yarn, etc), and then you publish it. That's it! So much easier, and that way all the financial info stay in one place. So there you have it! 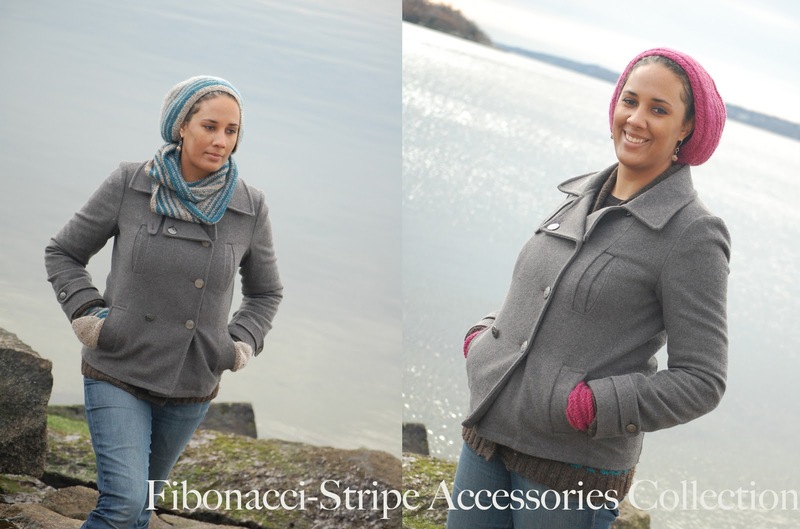 I published an ebook for my Fibonacci-Stripe Accessories Collection. I posted it to my facebook page. I tweeted it. 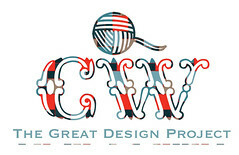 I stalked it on Ravelry to see how it's being received. And now I've blogged about it. Excited much? Oh, and turns out that Aaron and Dante (both of whom were very resistant about letting me knit them a sweater) have decided that they really like Rockaway from Jared Flood, and have put in requests in specific colorways. I don't like to knit the same thing twice, but I might have to make an exception this time if the end result is that I can get all three Washington men in a hand-knit sweater! How exciting! I am impressed with this giant step you have taken. Congrats!! !